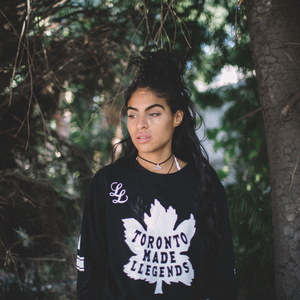 Colombian-Canadian singer-songwriter Jessie Reyez from Toronto whose unique take on pop music, accented with R&B and hip-hop influences, is reinforced by a raw vocal style that merges the deeply passionate with the stylishly theatrical. Reyez started singing at a young age. Inspired by her father's talent for playing acoustic guitar, and singing Colombian boleros, Jessie was destined to be a creative herself. It came naturally to Jessie, as she began writing lyrics and adopting her father's talents for the guitar.